To promote the legacy of internationally known sculptor, Albin Polasek, N.A. and to encourage study, appreciation and the furtherance of representational art. In 1961, the Albin Polasek Foundation was founded by the sculptor and his wife, and at that time, the Residence, Galleries, Chapel and Gardens were opened to the public as a museum. Because it was originally intended as a simple residence, the property is different from the standard Florida estate. The residence is not lavish, as Polasek had a deep appreciation for an uncomplicated aesthetic. Similarly, the gardens are quiet and subdued, utilizing gardening art in classic form. The Foundation has contributed to the culture of Winter Park and Central Florida in many ways, including the donation of sculptures Forest Idyl and Emily Fountain to the City of Winter Park; long-term loan of Man Carving His Own Destiny to the Winter Park Public Library; art scholarships to the University of Central Florida, Rollins College and Crealde School of Art. Other contributions have been granted to the Pennsylvania Academy of the Fine Arts, Brown University and the Art Institute of Chicago. A sister city relationship between the City of Winter Park and Polasek’s hometown of Frenstat, Moravia, was established in 1996. Beginning in 1998, the museum’s staff and Board of Directors renewed their commitment to actively promote Albin Polasek’s legacy based on a coordinated, long-range improvement plan. The plan focuses on renovating and expanding the museum, increasing public awareness of the museum, and developing cultural and educational programs. Through their efforts, the museum was added to the National Register of Historic Places in 2002. In addition, Albin Polasek was granted posthumously the honor of Great Floridian 2000 and was inducted into the Florida Artists Hall of Fame in 2004. 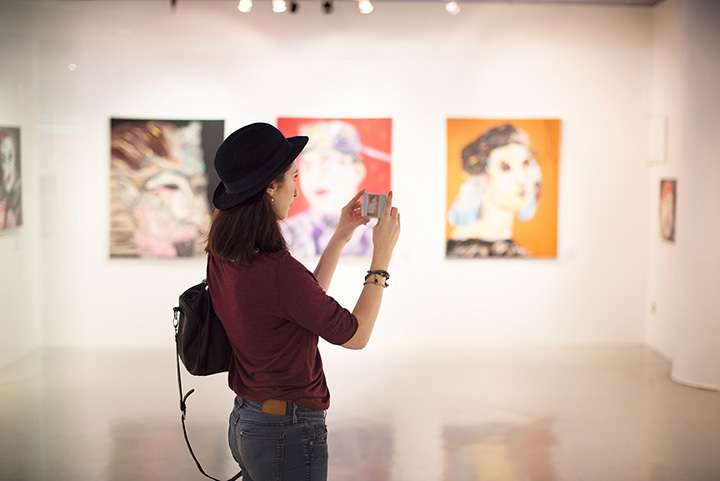 A museum assessment (MAP I) and collection assessment (CAP) have been completed as part of the American Association of Museums ongoing assistance program. In 2001 a facilities assessment was conducted, thanks in part to a grant from the State of Florida, Division of Historical Resources. Phase I of Stabilization and Restoration work has been completed, funded in part by a DHR grant for $243,000. The Foundation continues fundraising for the preservation of this modest estate, the restoration of Polasek’s art collection and the advancement of his legacy. How will you Support the Arts in 2018? Want To Make An Impact With Your IRAâ€™s Required Distribution? An Exciting Project Will Be Happening At The Polasek Museum!